Despite real time communication (in text, audio, pictures or video) the physical distance from a loved one is still deeply perceived by our bodies. 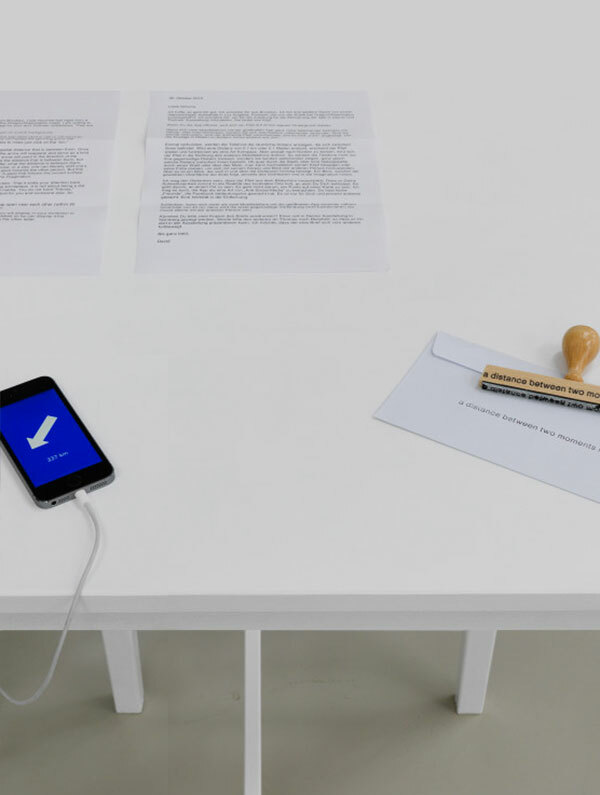 The Space Between Us is a very simple but powerful conceptual app by David Horvitz that uses a smartphone’s computing power to calculate the current distance to another smartphone. 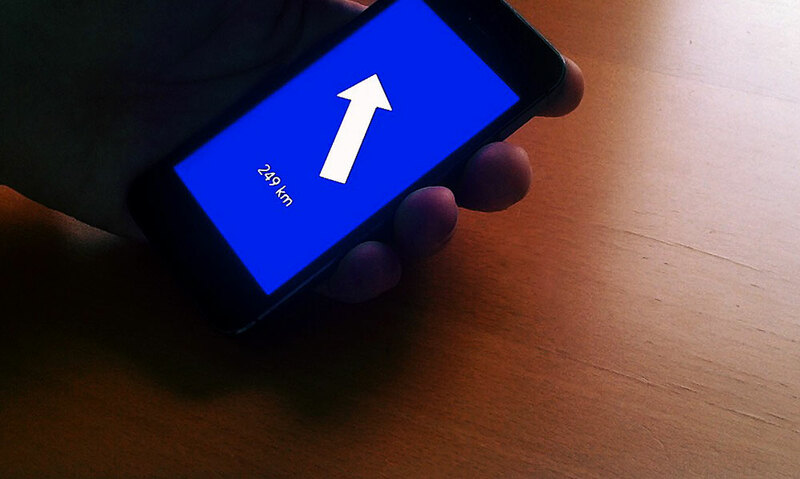 This real-time distance is then represented in kilometres and visualised it with a minimal arrow pointing in the right direction. As an abstraction it is extremely engaging. The arrow is as alive as the person it’s pointing to, the one we can’t see with our own eyes, but who we nonetheless feel intimately. It is a compass guided by endorphins, indicating the direction to our more passionate thoughts. Oceans or mountains in between becomes irrelevant, as the “space” defined here, is the space of closeness, paradoxically closer than in a video call. Here our sense of orientation is powerfully alerted, and it can last longer than pixels on the retinae.